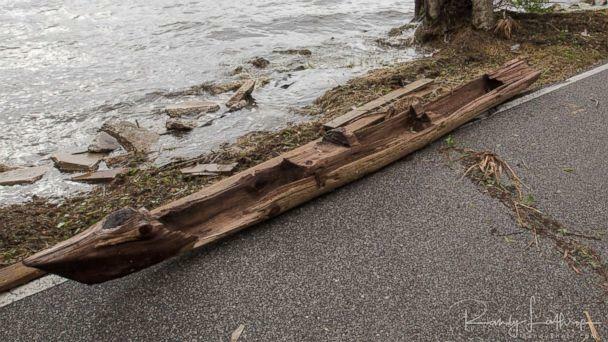 A Florida photographer on an early-morning bike ride the day after Hurricane Irma ravaged the coast stumbled upon an exciting find: a dugout canoe that may be hundreds of years old, according to officials. “I can look across the river and see the launch pad and the vehicle assembly building. It’s a real contrast,” Lathrop said of the area where the canoe was found, which is steeped in Native American history. He immediately contacted the Florida Division of Historical Resources before someone could mistake it for debris and throw it away. The 15-foot-long canoe could be anywhere from several decades to several hundred years old, according to Sarah Revell, a spokeswoman with the department. Carbon dating will help to narrow down the boat's age. 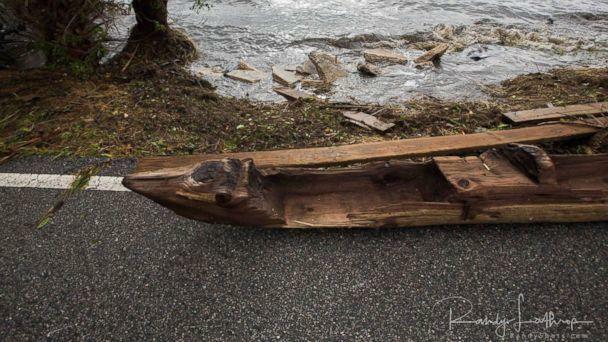 The canoe has a squared off form, which Revell said is commonly seen in the historic period (from 1513 to about 50 years ago in Florida), but there are several uncommon features on it too: compartments, square nails and what appears to be a seat. Lathrop said he was excited to get the canoe off the road to save it for the public. “It belongs to the state, it belongs to the people of Florida. That’s the law,” he said. Revell said the canoe was evaluated by a professional archaeologist based in Canaveral on Sept. 14. It is currently being kept wet in an undisclosed safe place. “I’m still giddy,” Lathrop said of his thrilling find.